PLO Secretary-General calls on President Donald Trump's administration to clarify its policy with regard to Israeli "settlements". 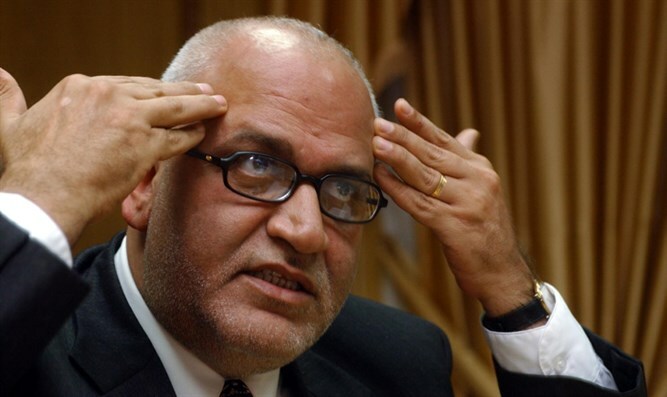 Palestine Liberation Organization (PLO) Secretary-General Saeb Erekat on Wednesday said he was "shocked" by the White House's silence on Israel’s construction in Judea, Samaria and eastern Jerusalem, and called on President Donald Trump's administration to clarify its policy. On Tuesday, Prime Minister Binyamin Netanyahu and Defense Minister Avigdor Liberman announced the approval of 2,500 housing units in Jewish communities in Judea and Samaria, in order to accommodate the housing needs of the residents and to return their daily routine to normal. The announcement followed the approval earlier this week of 566 new housing units in the Jerusalem neighborhoods of Ramat Shlomo, Ramot and Pisgat Ze'ev. While the United Nations and the European Union were quick to condemn the new construction, White House spokesman Sean Spicer on Tuesday declined to express a position on Israeli construction when asked about it in his daily press briefing. Responding on Wednesday to the White House refusing to comments, Erekat told AFP, "We used to hear condemnations, we used to hear American positions saying '(Israel) should stop settlement activities, it's an obstacle to peace.'" "Not commenting, does that mean that President Trump is encouraging... settlement activities? We need an answer from the American administration," he added. Erekat said he was "shocked" that the White House did not comment on the construction announcements as the Obama administration repeatedly did. On Tuesday, shortly after Israel’s announcement, Erekat called on the international community to punish the Jewish state for the new construction. "The international community must hold Israel accountable immediately for what it is doing," he said, adding that Israel had been emboldened by "what they consider encouragement by American President Donald Trump."